We had the huge honour if being invited to participate in the FreeFrom Food Awards Ireland this year and it was super exciting! As it's Coeliac Awareness week I thought a quick note on the FreeFrom Food Awards Ireland was in order! I can't divulge the winners so let's not go down that route but I do have a note or two about the awards themselves. In 2008 the Freefrom Food Awards UK were launched as an independent awards in the UK by FoodsMatter and FreeFrom Foods Matter. It's had a huge impact on the free from industry by encouraging brands to step up their game and produce something, to put it really simply, edible, palatable, and down right tasty. It pushed the industry to be better. To create food that people want. Food that people with allergies and intolerances have been dreaming of. It sounds very like I'm looking at things through rose tinted glasses. The free from industry is still not perfect, but it's come so far in recent years. I'm so glad I missed the tinned gluten free bread days, but when I was diagnosed it I really struggled with the quality of products. So the basics of the Awards... Companies enter their products into categories. They're charged an entrance fee and have to adhere to strict guidelines. The big part of these awards is that each product has to have be free from one of the major allergens and need to be able to prove it through tests etc. The prize: The prestige of the award and a badge of honour for the winning product. 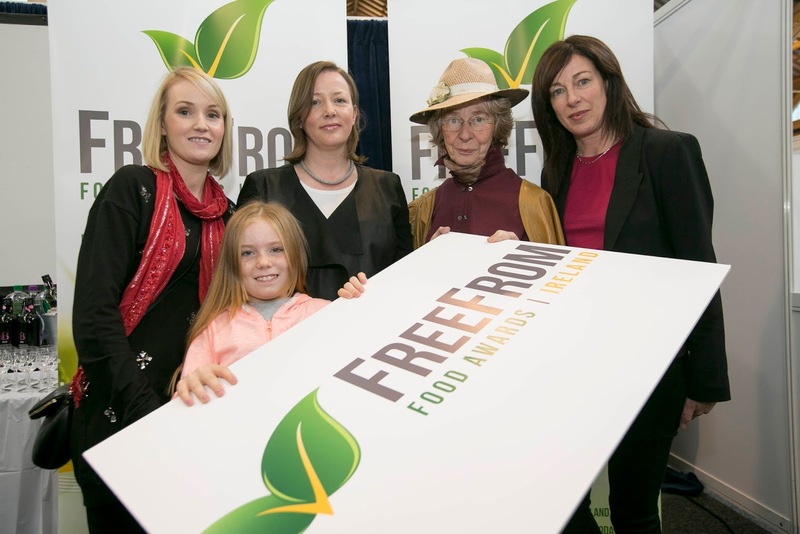 Skip forward to the Freefrom Food Awards Ireland. John Burke, who was a judge in the Freefrom Food Awards UK, decided that Ireland needs these awards, which is completely true! John is a long-term diagnosed coeliac who has been involved in the Freefrom market for a number of years. He enlisted the help of Emma from Express PR to gather judges and start the ball rolling. The launch took place at the Allergy Expo in October 2015. So Emma contacted myself and my other half about the judging and off we went. Judging took place from the 11th to the 22nd April 2016. We just went for one day, I wholeheartedly wished we could have gone for more but there are those pesky commitments. I thoroughly enjoyed the day. Meeting people with all different allergies and coming from all different aspects of the free from community. There were the professional industry people, parents of children with allergies, bloggers, and interested people. The days were organised into product categories for testing. Depending on how many entrants were in a category dictated how long it took to get through that category. It was pretty fun! Although eating different versions of the same product was difficult after number 20! As usual, catch us on Twitter, Facebook, and Instagram. Watch the Facebook page for a competition this week! Emma from Express PR can be found on Twitter and Facebook. Freefrom Food Awards Ireland have a website and are on Facebook and Twitter.